Guess what? 1/1000s is also a good shutter speed for photos of backyard birds in the snow.? ?But I have no clue what sort of bird this is. Do you? Friend and family who know me well, they know that I detest the long dark cold months of winters of the Mid-Atlantic states. I even compiled a list of Top Ten Reasons Why I Hate the Winter. I awake and dress in the dark. Outside my bedroom windows, I can hear the cold winds blowing. When I leave for the office, the sun makes a glow through the grey cloud cover. Sometimes it rains. The rain is cold. When I leave for home, the sky is still behind the clouds but it’s lower in the sky. I arrive home just before dark. It’s still cold outside. During these months, I am loath to go outside with my camera. Even on the weekends, or a sunny day like today, I don’t want to leave the warmth of my home to venture outside for a photo. When I do go out for some winter photography, my trips are short. If I push my self I end up with frost-bitten fingers and toes and stiff muscles. On a recent photo walk in Manhattan, on an overcast day with temperatures below freezing, I noticed that one member of our group seemed less bothered by the cold. I talked to him about what he was wearing and I learned about base layers and insulating layers and outer shells. He told me about the brands Patagonia and Kühl. He told me to visit the nearest REI store. I did. I learned even more about dressing for the wintry outdoors and tried on a few things. Then I placed my order. According to my research, the best way to protect myself from the winter cold is to wear three separate layers—a base layer worn against the skin, a middle layer, and an outer layer. Each has a unique purpose, and if worn properly, all layers work together to wick sweat away from the body, hold in heat, and keep out wind and rain. Photography is not an outdoor sport. With landscape, cityscape and wildlife photography, I spend most of my time in one spot. I may walk around for a bit scouting the area, but once I decide on my subject I move very little while setting up the tripod, composing the image, changing camera settings, and making the shoot. This can take several minutes or more depending on what I am doing. I can’t rely on the movement of my body to generate heat. I need a base layer that will keep me warm even while standing still. I purchased the Patagonia Men’s Capilene® Midweight Zip-Neck is a “warm, breathable polyester baselayer with minimal bulk.”. 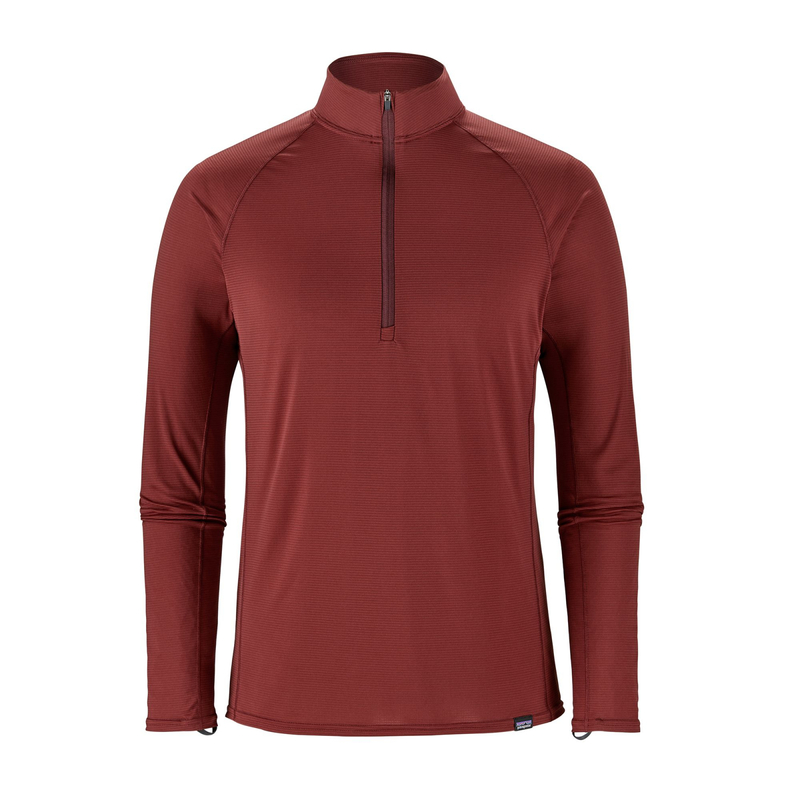 Patagonia Men’s Capilene® Midweight Zip-Neck Baselayer. Image &copy Patagonia. Used for illustration only. An insulating layer helps to retain the heat that’s radiated by my body. The more efficiently this layer traps that heat, the warmer I’ll be. I decided on a down jacket for this layer. Down is compressible for easy packing while offering more warmth for its weight than any other insulating material. Because down is always inside a shell material, down jackets also offer some water and wind resistance. However, I must be careful not to get it soaking wet. The efficiency of down is measured in fill power—from 450 to 900. 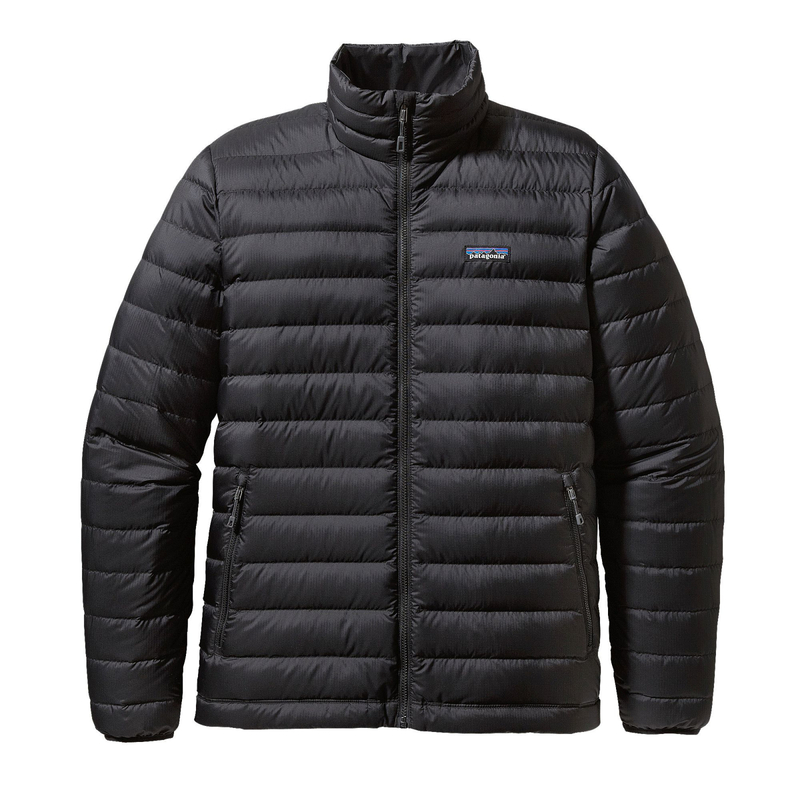 I purchased the Patagonia Men’s Down Sweater Jacket is “a classic lightweight and windproof with a 100% recycled polyester ripstop shell and 800-fill-power” goose down. This insulating jacket will be worn under a water-resistant shell. Patagonia Men’s Down Sweater Jacket. Image &copy Patagonia. Used for illustration only. And outer layer (or shell layer) protects the body from wind, rain and snow. In case the weather changes while I am out roaming, I wanted to allow at least some perspiration to escape treated while allowing water to bead up and roll off the fabric. The outer shell is important in stormy weather because if wind and water penetrate to the inner layers, I would get seriously chilled. Brr. 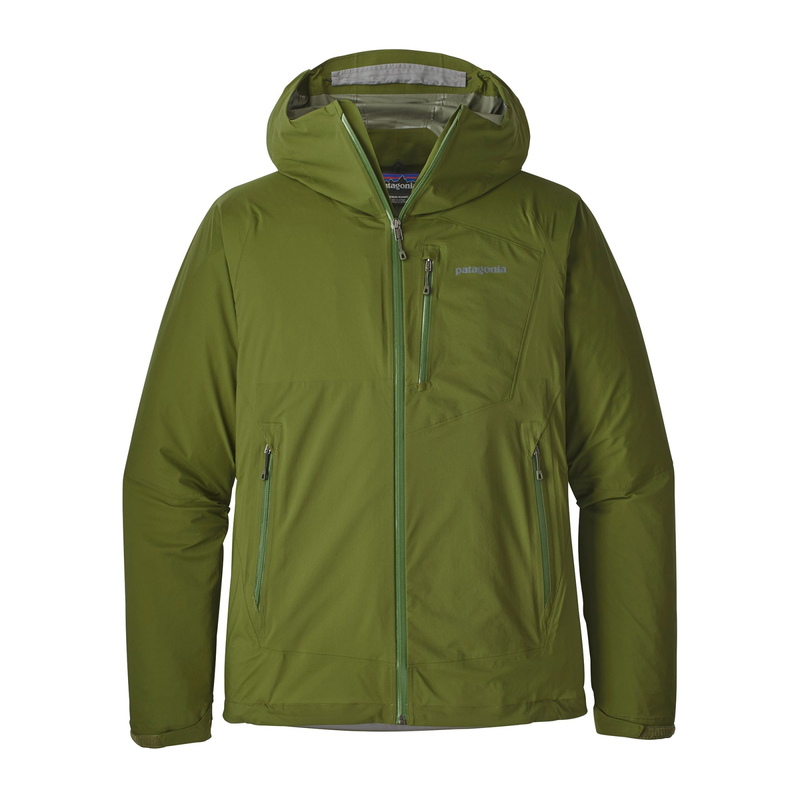 Patagonia Men’s Stretch Rainshadow Jacket. Image &copy Patagonia. Used for illustration only.